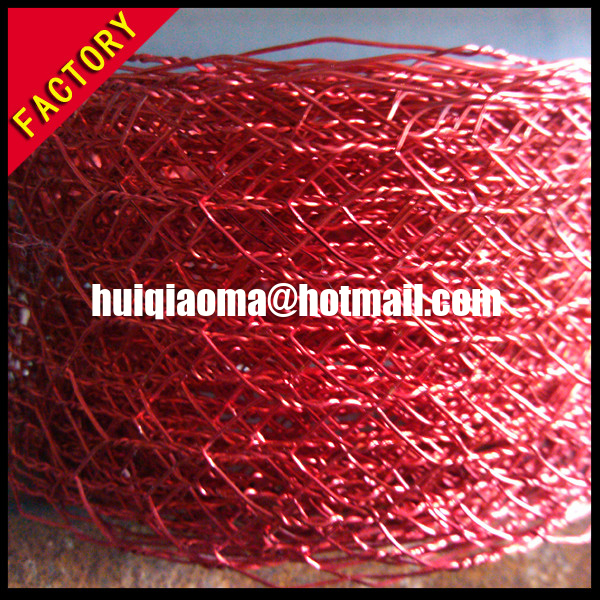 Decoration Hexagonal wire netting is much more beautiful than the galvanized or pvc coated hexagonal wire mesh. 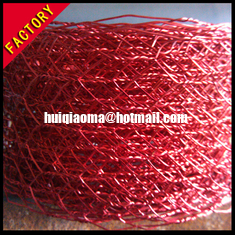 1.There are so many colours:red, pink,yellow,green or others,we are make it as customers' request. 2.Weave characteristics: structural precision, uniform mesh, fine rust-resisting and durable ial: galvanized iron wire, the stainless steel wire, copper wire and aluminum silk weaving, size can be made according to customers' requirements characteristics. 3.USES: widely used in industry and construction, screening sand, filter liquid and gas. Also can be used for mechanical accessories safety protection, etc. And it can also be used to replace wood strips in making wall and ceiling, can also be used to raise chicken, duck, goose to wait to animal enclosure, highway guardrail, protect and support seawall, slope, road, bridge and other shuimu engineering. 4.Textile way: is twist, the twist, and twist; First BianHou plating, first made after the plating.